OrisLab X3 is the most complete and easy-to-use software to manage your Dental Laboratory. 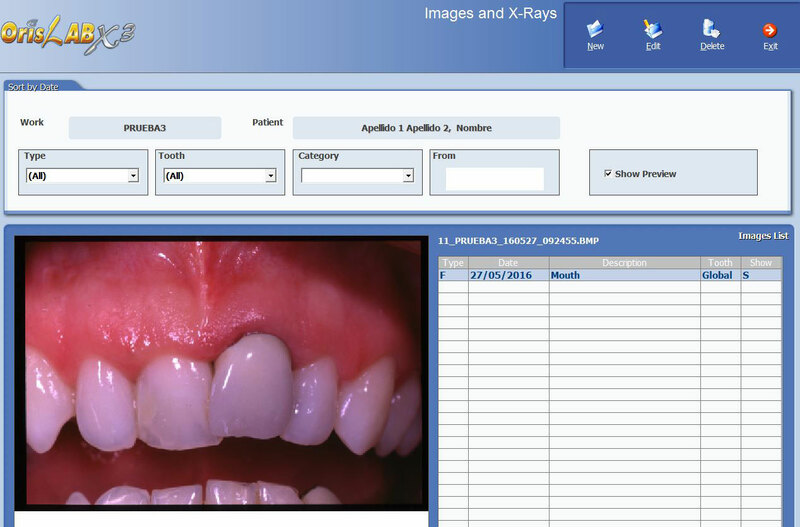 Discover all the features of dental lab management software OrisLab X3. The work sheet is the heart of the programme where you can enter the works quickly and accurately. 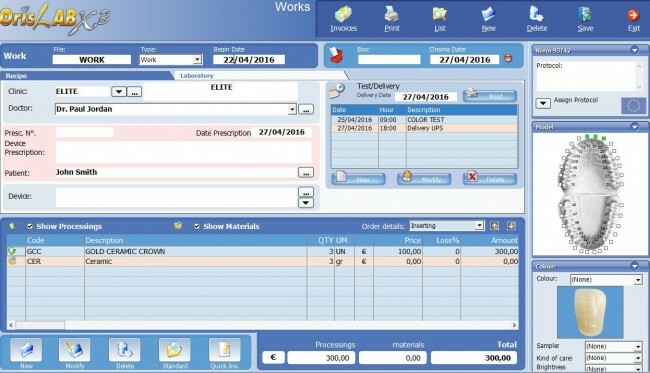 An intuitive graphical interface and quick and easy commands allow you to load the work data directly from the prescription. You can create the quotation for the dentist, set the phases of process, the materials that have to be used and the technicians who will produce the device. From the case management you can print also the delivery note, the work organization, the dental scheme and the test chart. The storage is a key part for every dental lab, manage it easily and efficiently with OrisLab X3. Enter the equipment , register purchase invoices, check spare and sold out material, track lots number, associate the materials to the suppliers for automatic sort, combine the works to the materials to verify the real cost of your work. OrisLab X3 allows you to do automatic load/unload of material and handle ceramics and resins with a specific function. Thanks to the barcode reader you enter the material in a quick and easy way! The Agenda in OrisLab X3 allows you to manage, in a quick and easy way, the cases and the activities carried out by the technicians of the various departments in the lab. Display the deadlines and the delivery dates of the cases thanks to the different colours for each client. You find all the activities and test dates in the daily and weekly planning. For each technician you can define the processing time and the remunerations. You can set passwords to check quality controls on the processing and the materials. 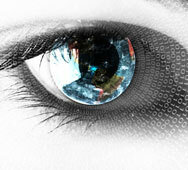 OrisLab X3 allows you to integrate your work with images. You can capture prosthesis drawings and pictures of the patient’s mouth directly in the patient record, from any digital camera, video camera and scanner. Once the images have been captured you can send them easily to your customer by e-mail. OrisLab X3 allows you to create and manage all client invoices and payments. At the end of the month, or whenever you want, you can send to your customer the statement of account of all works carried out. Automatically you can issue detailed and summarized invoices and all accounting movements are registered in the account statement.